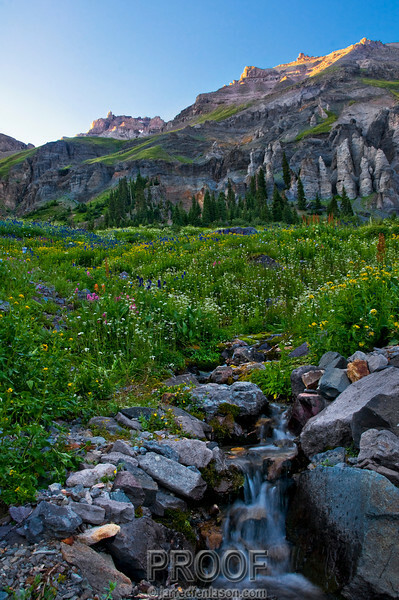 "Setting Sun in Yankee Boy Basin"
Yankee Boy Basin, high in Colorado’s San Juan Mountains, is one of the premier wildflower locations in the West. The huge meadows of Columbine, Indian Paintbrush, daises, and bluebells surrounded by towering peaks is truly an inspiring location. It is only accessible with a four wheel drive vehicle. This photograph was taken as the sun was setting at f/16 for 1/2 second.